For Valentine’s Day, the hubster surprised me with two days and a night at the Ritz-Carlton in Laguna Niguel. Yes, I’m lucky, and no, I won’t trade. On the drive home, we both felt a bit sluggish (that’s what relaxing does to you…) and I suggested that we do a week of light dinners. At this point in the winter, even though we thankfully aren’t dealing with ice and snow, we are still more sedentary than we’d like to be and begin to think about moving our carcasses around a bit. Well, the idea of it is good anyway, right? A commitment to light eating is a much more palatable way to approach spring which isn’t that far off. 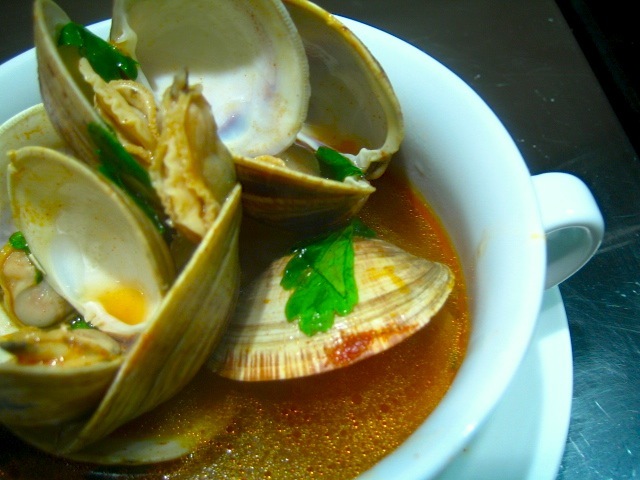 Almejas Valencianas or Valencian-Style Clams was a perfect choice. Well, until I decided to add the Pan con Tomate y Anchoa, or Garlic, Olive oil, and Fresh Tomato on Toasted Bread. To our credit, we only ate half the bread, and the clams were amazing, so our appetites were quite satisfied. The recipe was originally made with mussels and is quite famous in Valencia, Spain where it’s made at the popular Bar Pilar. Both recipes are great for tapas if you want something quick on a night with friends. In a large wide pot, add all ingredients except the clams. 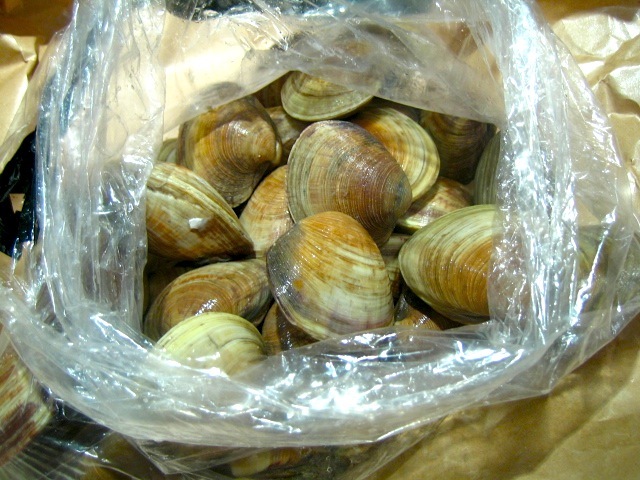 Bring to a boil and then add the clams, giving them a good stir, and covering the pot tightly with a lid. Cook until clams open, about 4 minutes. Toss any clams that do not open. 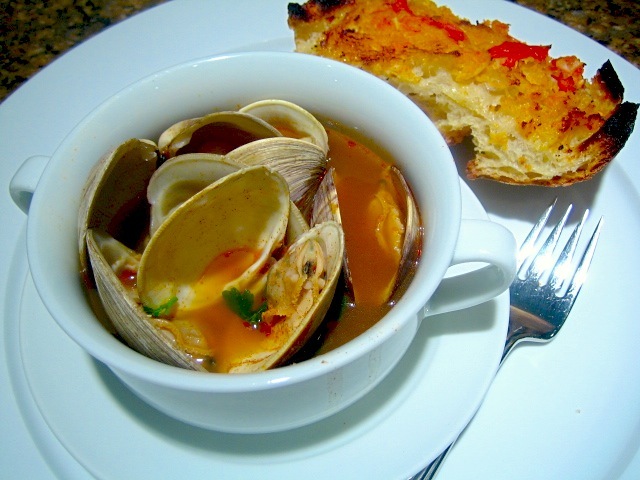 Stir in the parsley, divide clams into bowls, ladle in the broth and enjoy. Split bread into halves lengthwise. Mince the garlic, sprinkling on a bit of the salt while you chop, making a paste. 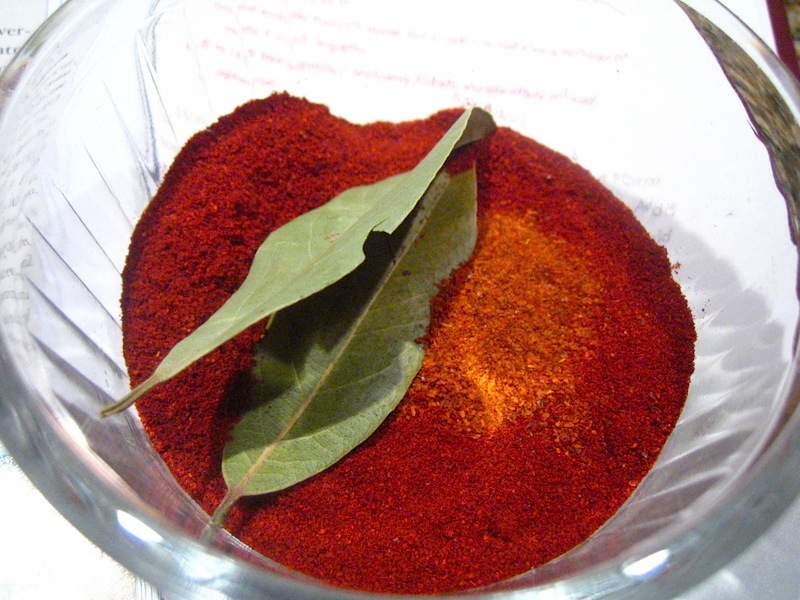 Use a coarse grater to pulverize the tomatoes into a bowl. Pour off the liquid and add the garlic paste, olive oil, and salt to your taste preference. Spread the mixture over the bread halves and broil until golden brown. Slice and dip into the clam broth as you like. What do they say? Great taste — less filling! We loved this almost more than our usual Italian version with clams and mussels, but both dishes are excellent and very easy to prepare.